Does your business rely on barcodes for the categorization and identification of important items, such as inventory? If so, then having high-quality barcode labels should be of utmost importance. Fortunately, if you’re looking for excellent barcode labels that you can rely on, you don’t need to look any further than Tri-State Business Systems. 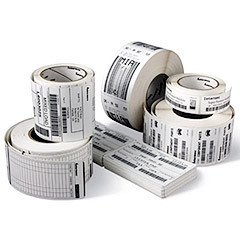 Here at Tri-State Business Systems, we strive to provide retailers, manufacturers, distributors, schools, and individuals the barcode labels they need to designate items for sale, maintain stock and inventory, and assist in day-to-day operations. As such, we’re proud to offer reputable, name-brand Zebra labels, Cleanroom labels, high temperature labels and barcode labels made in-house. Don’t let our name fool you; we currently serve numerous states across the country with our quality barcode and labeling systems. Furthermore, we have a dedicated team of engineers on-site to ensure the quality and success of our products. Our staff has more than 20 years of experience when it comes to barcode and labeling, so you can rest assured that your business’ or organization’s needs will be addressed and taken care of. End your search for the best barcode labels, including Zebra labels, today by contacting us to request a quote or to simply find out more about what we can do for you.